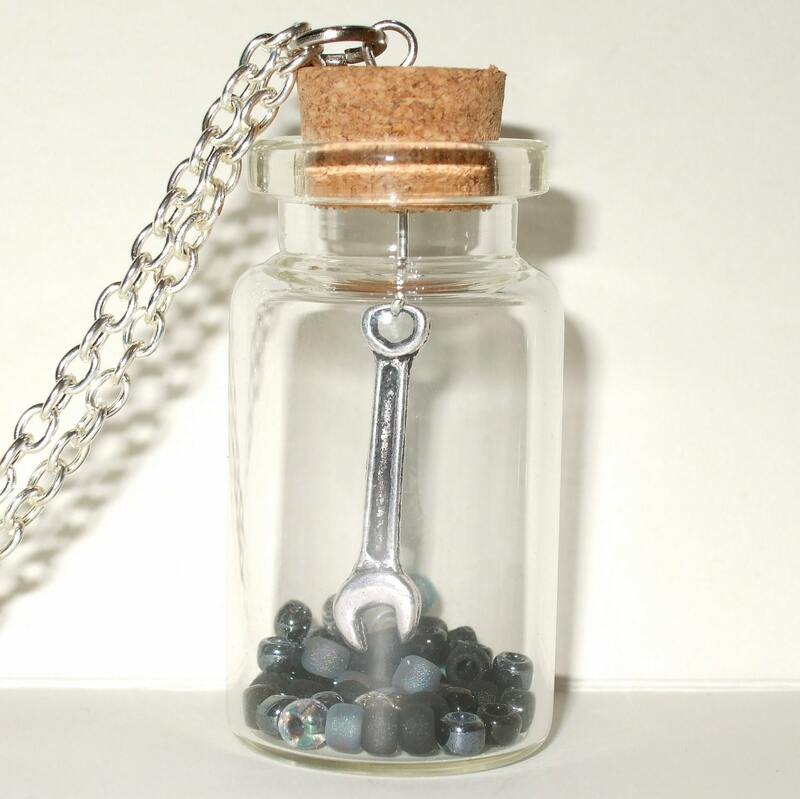 Wrench bottle necklace - a cute little Tibetan silver wrench (or spanner) charm is captured in a glass jar… suspended over a layer of glossy beads in shades of grey and black. 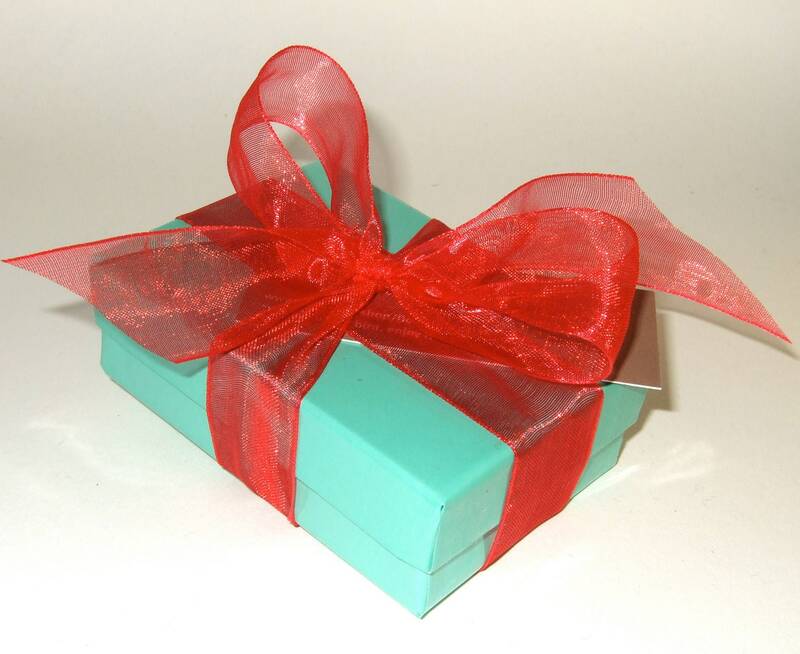 The silver plated chain is lead and nickel free, and fastens with a lobster-claw clasp. The glass bottle is approximately 1.75"/4.5cm tall. Or please contact me if you would prefer a custom length for your chain! 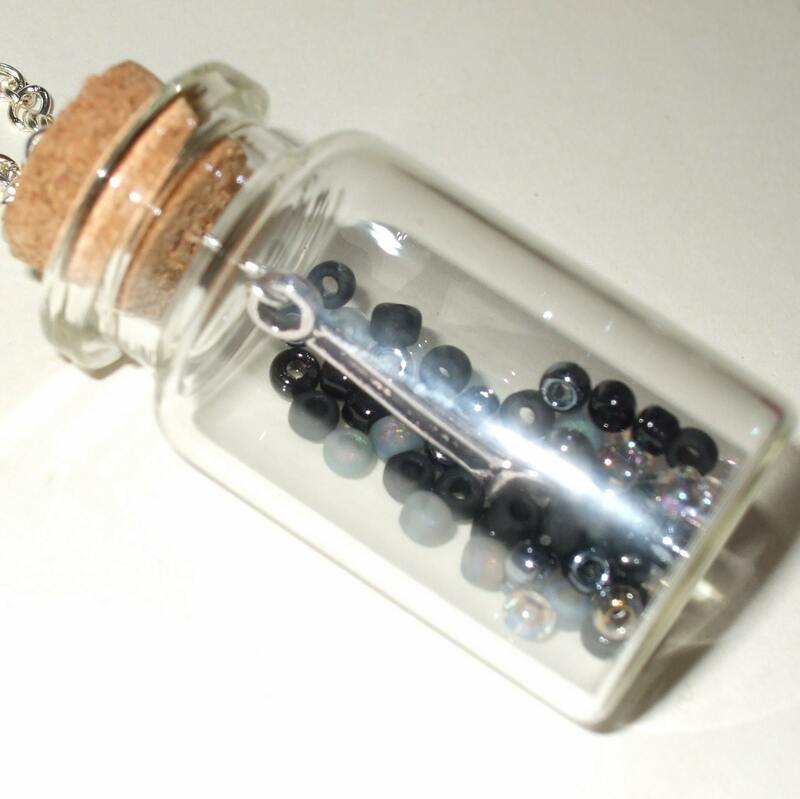 All of my bottle necklaces can be made with different colours of beads, so if you see one you like but it's not quite in your colours, please convo me and I can make you one that's more to your liking. Can you do better? 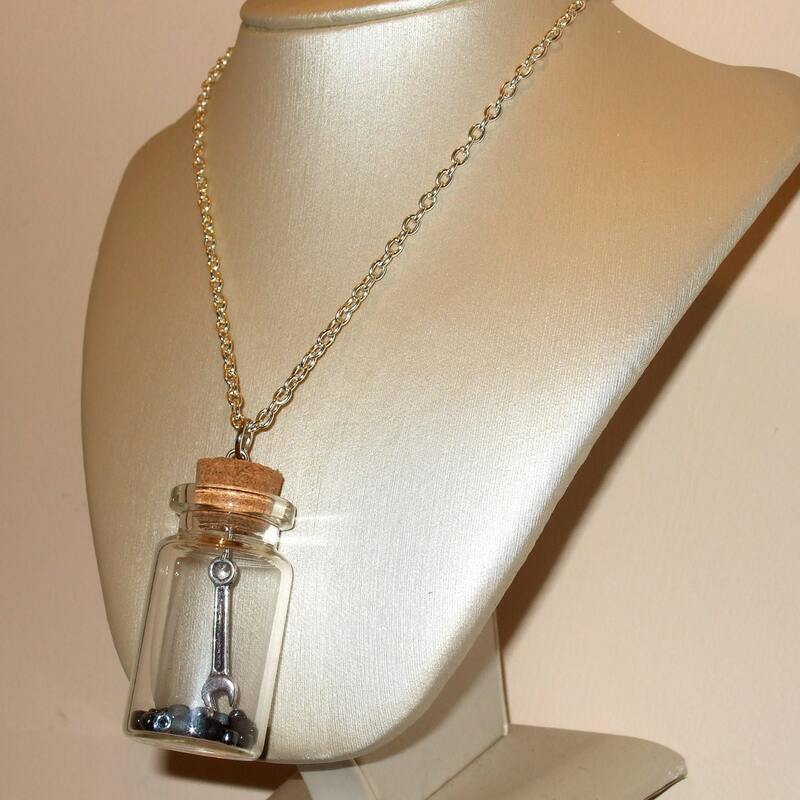 Got something special to put in a bottle necklace? 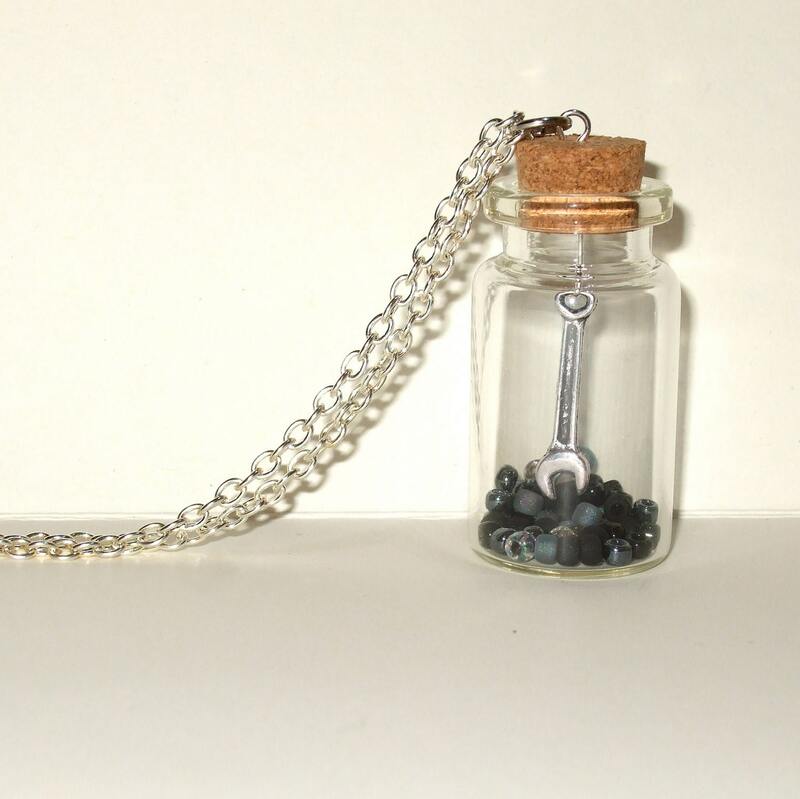 Why not go for one of my DIY bottle necklaces - available in bronze or silver plated, ready for you to fill!